Youngblood Mineral Radiance is a lightweight mineral formula that provides a gorgeous healthy glow all year round, without the damaging effects of the sun. Sweep Sundance across your cheeks, chin, and forehead as a natural bronzer. Or try the rosy Splendor or Riviera as a highlighter, contour, or eye shadow. Quick and easy to use for a convenient touch-up anytime. Sunshine: A single bronzer to give a luminescent glow. Splendor: A multi-dimensional blush containing three blush shades and an illuminiser/ highlighter. Use together for an all-over rosy sheen or use each shade separately as desired. 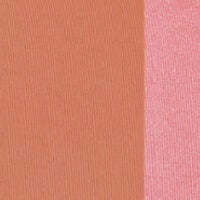 Riviera: A dual-shade featuring a soft-matte peach tone and a vibrant pink with subtle sheen for a fresh glow. Wear each shade alone or blend together for a healthy glow. Mica (CI 77019), Caprylic/Capric Triglyceride, Zinc Stearate, Oryza Sativa (Rice) Starch, Silica, Lauroyl Lysine, Lonicera Caprifolium (Honeysuckle) Flower Extract, Lonicera Japonica (Honeysuckle) Flower Extract, Simmondsia Chinensis (Jojoba) Seed Oil. May Contain: Titanium Dioxide (CI 77891), Iron Oxides (CI 77491, CI 77492, CI 77499), Carmine (CI 75470). For a flawless and healthy radiance, apply Mineral Radiance to your face and body using Youngblood's Super Powder and Kabuki brushes. Sweep on apples of cheeks, blending out. Brightens and creates subtle highlights. Create a sun-kissed glow Ultra-light and super silky.